It takes about four weeks for skin cells to work up through the epidermal layers. The skin’s renewal cycle is responsible for keeping our skin healthy and well functioning. As we age, this process slows down, because the rate at which our skin creates new cells decreases. 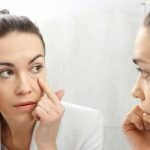 This leads to dead skin cells becoming trapped on the surface of the skin because the sloughing process is dependent on new cells pushing the old ones up and out. Exfoliation helps with this, by removing the dead skin and helping to stimulate the rate of cell renewal too. 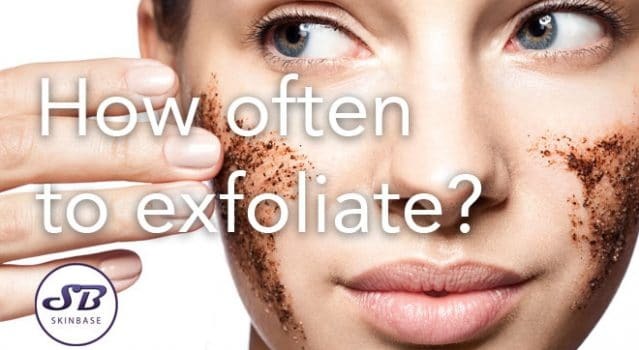 But how often should you be exfoliating? The answer depends on several factors. Some scrubs will tell you that they’re gentle enough to be used every day – but this is never true! Face scrubs should be used up to twice a week. If you really want to use an exfoliating product every day, find a gentle acid product like a glycolic toner or salicylic acid serum. Make sure that whatever you use is specifically formulated for your skin type, and if it’s your first time using an acid product, don’t use it daily right away – build up to it gradually. Almost every skin type can benefit from exfoliation, but it’s important to be as gentle as possible, no matter what your skin concerns. For some people, simply using a face cloth provides ample exfoliation, whilst other people need to choose a twice-weekly scrub or daily acid product to get the benefits of exfoliation. Delicate skin? Try a creamy scrub once a week, with soft particles like jojoba beads. If you’re looking to exfoliate spot-prone or oily skin, opt for a daily product with salicylic acid in it, which will dissolve oil as well as remove dead skin. If you have dull skin or pigmentation, a gentle scrub twice a week, or a daily glycolic acid toner will work wonders. Remember that it’s always better to under-exfoliate, and that you may have to wait a while before the benefits of exfoliation become visible. Older skin is more delicate than young skin, because it is thinner. While exfoliation is really important to help older skin to look youthful and to stimulate cell renewal, it’s essential that if your skin is ageing, you exfoliate a maximum of once a week, perhaps once every two weeks. If you’re using a retinol product, be extremely careful about how often you exfoliate. Retinols stimulate skin cell turnover, but if you pair that with too much exfoliation, skin may begin to flake excessively. This can lead to dryness, dehydration, and the possibility of an adverse reaction like rashes. You should exfoliate twice a week with a gentle scrub, and avoid any daily acid treatments. The easiest way to make sure you’re exfoliating the right amount is to see a professional. SkinBase Microdermabrasion is a highly effective exfoliating treatment, performed by our expert therapists. 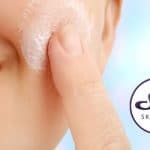 You can rest assured that you’re getting exactly the right exfoliation for your skin type and skin concerns, and they will be able to advise you on how much to exfoliate at home too. Find your nearest therapist here.